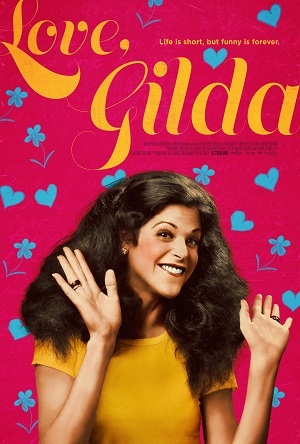 Gilda Radner was a celebrity my parents could agree on. Not that either of them ever really said out loud she was their favorite comedian or anything. But even as a little kid I could still tell. Both of them would randomly break out with a line of hers as Roseanne Roseannadanna or Lisa Loopner at random moments that always struck me as bizarre. We also went to see The Woman in Red and Haunted Honeymoon at the drive-in mainly because she was in the both of them, for as much as we all enjoyed Young Frankenstein and Willy Wonka & the Chocolate Factory I can’t exactly say my mom and dad were head over heels for Gene Wilder. She was the draw. It was obvious, and even if I doubt either of them would remember any of this now all of this is nonetheless burned into my memory as if it were yesterday. All of those memories and more came flooding back like a massive tsunami while I was watching director Lisa D’Apolito’s remarkable documentary Love, Gilda. Given unparalleled access to the iconic actress and comedian’s home movies and personal diaries, this is a story told almost entirely via its subject’s own words. While D’Apolito does interview a flock of individuals who knew her best, including fellow “Saturday Night Live” alumni Chevy Chase, Laraine Newman and Paul Shaffer, it is the voice of Radner herself that resonates most. From her early days just starting out working with the likes of Martin Short, to her time on “SNL,” to her groundbreaking one-woman Broadway show, to her love affair and marriage to Wilder which was sadly quickly followed by her tragic battle against cancer and the publication of her best-selling memoir It’s Always Something, she talks about all of it. It’s fairly extraordinary, D’Apolito’s film a stunning chronicle of one of the 20th century’s most remarkable talents who trail-blazed her way through a misogynistic, male-dominated industry like few others before her had been able to accomplish. 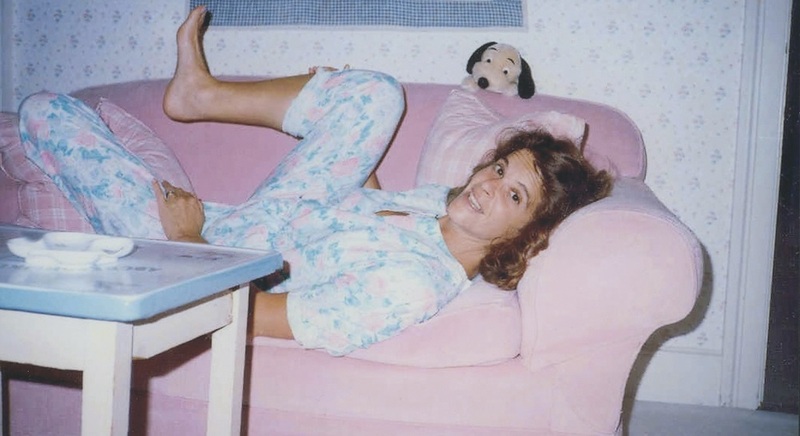 More, Radner forged a path a whole army of female comics have been building upon and expanding ever since, and to see so many of them appear her reading from her journals, and so clearly emotional at being given the opportunity to do so, is continually incredible. Everything is her in one way or another, the director craftily building a story of a singular life that’s continually striving for more and in the process manufactures a saga of triumph, regret, tragedy and courage that’s universal in its breadth, scope and emotional resonance. I find it interesting that this film is coming out now. Right in the heart of the #TimesUp and #MeToo movements, at the time when Frances McDormand is standing on the Oscar stage shouting, “inclusion rider” for all the world to hear and essentially putting every Hollywood studio on instantaneous notice, with political, corporate and social worlds being rocked by one scandal after another, here is a story of a talented woman who had to fight for everything she achieved all the while being told every step of the way she just wasn’t as smart or as talented as the men she happened to be standing next to in front of a global audience each and every week. To D’Apolito’s credit, she doesn’t shout about the parallels between then and now, instead once again allowing Radner herself to do all the heavy lifting for her. 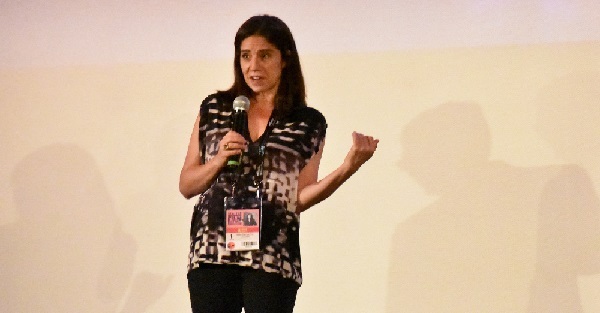 This gives her documentary a vitality and an urgency it likely never would have obtained had the director been more didactic or heavy-handed in her approach, all of which gives the film another emotional level to rise to that will likely take many audience members by surprise. But this is Radner’s story. Even if one isn’t as familiar with her achievements as one would hope they would be (she died back in 1989, after all), it’s crystal clear after watching D’Apolito’s opus why so many of today’s most accomplished entertainers, people like Amy Poehler, Melissa McCarthy, Bill Hader and Maya Rudolph look up to her with such adoration. Not just for her work on “SNL.” Not just for her Broadway triumphs. Not just for her scene-stealing performances in Hanky Panky and The Woman in Red. Not just for her autobiography or her life-saving work being a figurehead in the battle against cancer which led to the founding of a number of Gilda’s Clubs throughout the United States. They admire her for all of it, every step of that journey, Radner’s story one people of all backgrounds, genders and ethnicities can look at for inspiration. It is that aforementioned universality that ends up making Love, Gilda so magnificent. After watching, I couldn’t help but be instantly reminded as to why my parents loved Radner as much as they did. Better, D’Apolito has made a movie that will introduce the legendary comedy firebrand to a potential new audience of youngsters who will be blown away by her whip-smart brilliance. No joke, this is one of 2018’s best documentaries, and I hope viewers of all types take the time to give it a look the second it becomes available for them to do so.